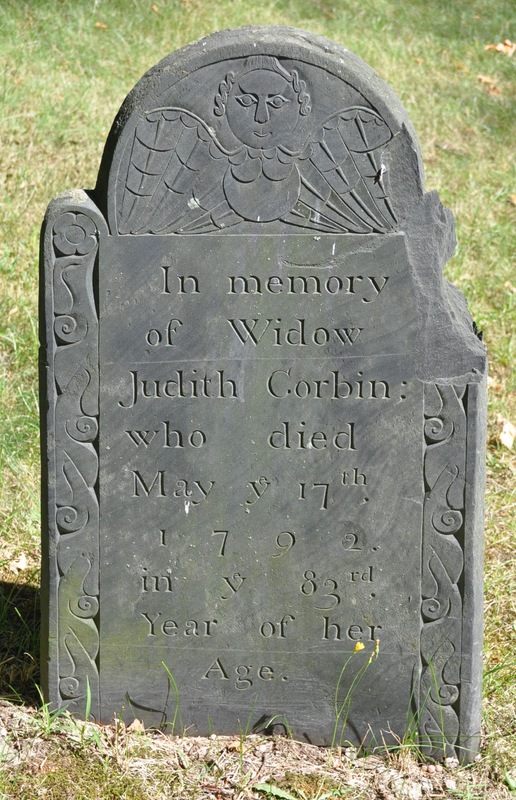 It's unusual for a stone to note that a woman was a widow without naming her husband (Ebenezer Corbin). I like the soul effigy — it looks like an angry man-eagle. It is typical of the Fisher/Farrington workshop's work from the 1780s and 1790s.